Now, finally, we have some models of electric cars to chose from. More models of electric cars are to come and this landscape will be changing very fast. 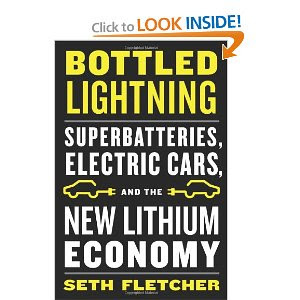 "Seth Fletcher brings a very important point across - Electric Cars at this stage are all about the choice. Finally, you can have some choice at least with your own mobility. You can plug in and use Domestically produced relatively cheap electricity and support Solar, Wind and other forms of Green Energy at your choice of supplier. And now you know what happens If You Can't Plug Your Car In. More and more people are getting it and the recent hatred campaign against electric cars only confirms the trend. Gas prices are talking for themselves now. Saudi Oil is lost in translation if US and UK are pushed to open Strategic Reserves again and sell cheaper Oil to the happy Chinese buyers. Once technology improves, we will have the Switch - when consumers will be switching to the electric cars and create mass market. Demand is already there - we need just to have electric cars which will be better than ICE ones. "iPhone moment"for electric cars will come with the better range and low cost as promised by recent announcements about advance of Lithium Battery Technology and new marketing approach, when Lithium Battery is leased rather that sold with electric car. You will pay monthly fees for the lithium battery lease and all the trouble with warranty will be gone - you can exchange or upgrade your battery. In case of Renault ZE payments are promised to be in line with ICE cars: cars are priced as their "normal" ICE comparable models and your electricity and lease payments per month will be the same as for the Gas at this level, but with rising Gas prices you will get some additional gain." It is always very important to remember that at some point in the Gas prices you will be happy to drive Anything or, like in case of China, you are not allowed to buy any, but only electric car in Beijing now - unless you have won the plate lottery. 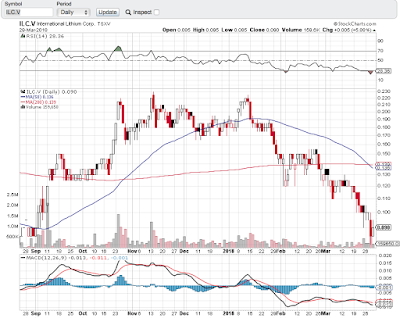 "International Lithium Corp. ("ILC") a "Clean Tech" lithium resource developer with a global portfolio of lithium assets. It is 29% owned by TNR Gold Corp (TNR:TSX). International Lithium Corp. ("ILC") currently holds highly prospective projects in the most prolific areas of the world for lithium and rare metals. ILC has recently secured a strategic investor, Jiangxi Ganfeng Lithium Co Ltd, from China, with focus on advancing the core ILC projects." VANCOUVER, British Columbia, March 20, 2012 /PRNewswire via COMTEX/ -- International Lithium Corp. ("ILC" or the "Company") is pleased to announce that Jiangxi Ganfeng Lithium Co. Ltd. ("Ganfeng Lithium"), a leading China based multi-product lithium manufacturer, will increase through a Private Placement its equity stake in ILC to 14.7% on a non-diluted basis. Financial commitment reflects continued support of ILC's management and projects. "International Lithium has delivered impressive technical successes as demonstrated from recent exploration results on numerous ILC projects, and I am pleased to see this vote of confidence from our strategic partner. Our partnership with China based Ganfeng Lithium Co., Ltd. continues to provide the Company with crucial technical and financial support. Our mutual goal is to position the Company in the potential supply chain of strategic commodities for the coming green technological revolution," states Kirill Klip, President of the Company. The Ganfeng Lithium Board of Directors has approved through its wholly owned subsidiary GFL International Co., Ltd, registered in Hong Kong, to purchase 4,347,826 common shares in ILC through participating in a Private Placement at $0.115 per share for gross proceeds of $500,000 (the "Financing"). Completion of the Financing is subject to Exchange approval. Ganfeng Lithium originally committed through a Strategic Relationship Agreement to an initial investment consisting of a 9.99% equity stake in ILC (for further details refer to the Company's press release dated April 18, 2011). The Financing represents a significant increase to Ganfeng Lithium's equity stake and reflects Ganfeng Lithium's continued support of ILC's management and projects. Certain fees may be payable on a portion of the placement, in compliance with Exchange requirements. The common shares sold under the Financing will be restricted from trading for 4 months in accordance with applicable securities laws. Ganfeng Lithium, based in Xinyu, Jiangxi Province, China, is a professional producer of lithium products which has developed a comprehensive product chain, including lithium metal and alloys, inorganic and organic lithium chemicals, and supplies a wide range of lithium products for primary and secondary lithium battery markets, pharmaceutical and new material industries. Ganfeng's principal market is in China with international exports to Europe, Japan, USA and India. "Ganfeng Lithium, as a leading lithium downstream products producer in Asia, has recently announced in the company's 2011 annual report USD75 million in sales revenue, representing a 34% increase over the previous year. Currently Ganfeng consumes a significant volume of lithium raw material, but taking into account projected business growth, sourcing a future supply of lithium becomes more and more important to support Ganfeng Lithium's core business. Increasing our share in ILC is part of our raw materials strategy," states Wang Xiaoshen, Executive VP of Ganfeng Lithium Co., Ltd.
Ganfeng Lithium was founded in the year 2000; it was listed on the Shenzhen Stock Exchange in August 2010, notably as the first publicly listed lithium company in China, and has experienced rapid continuous growth over the last 10 years. International Lithium Corp. is a rare metals mineral exploration company with an outstanding portfolio of projects, strong management ownership, robust financial support and a strategic partner and keystone investor Jiangxi Ganfeng Lithium Co. Ltd., a leading China-based lithium product manufacturer. ILC currently has 9 active rare metals projects, well balanced between lithium-potash brines in Argentina, Nevada and hard-rock pegmatites in Canada and Ireland. The Company's primary focus is the Mariana lithium-potash brine project, a salar or 'salt lake,' covering an expansive 160 square kilometres and strategically encompassing the entire basin. Mariana is located in the renowned South American 'Lithium Belt' centred on the junction of Argentina, Bolivia and Chile that is host to the vast majority of global lithium resources, reserves and production. The Mariana lithium-potash brine project ranks as one of the more prospective salars in the region. Complementing the Company's lithium brine projects are the rare metals pegmatite properties. The key characteristics shared by the hard-rock rare metals projects are their limited past exploration, excellent accessibility, limited assaying for rare metals, clear potential for additional exploration to add project value and development potential to meet the global technological growth in demand for the rare metals suite of elements. President - International Lithium Corp.
We are not surprised at all. Asian countries are very serious with the transition to the post carbon economy and are taking the lead now in lithium battery technology, lithium cells and lithium materials production. The lithium market place is dominated by the Chinese, Japanese and Korean companies. BOULDER, COLO. (March 15, 12:30 p.m. ET) -- Asian battery suppliers are poised to dominate the global automotive market for lithium ion batteries, according to Boulder-based Pike Research. LG Chem Ltd. of South Korea is the top electric-vehicle battery supplier, according to Pike’s report, which used 10 variables to rate each supplier’s technology and staying power. Three Japanese companies - GS Yuasa Corp., Automotive Energy Supply Corp. and Panasonic Group - also were among the elite performers. Two U.S. companies, Johnson Controls Inc. and A123 Systems, were rated highly. A German-Korean partnership, SB LiMotive, rounded out the top seven. The Pike report parallels some findings of a September survey by Roland Berger Strategy Consultants, which listed Automotive Energy Supply, LG Chem, Panasonic, A123 and SB LiMotive as early front-runners. Pike rated the seven top battery suppliers on such factors as market share, product quality, financial resources, geographic reach, nonautomotive applications and product strategy. But the report’s author, John Gartner, cautioned that it’s too early to assume these companies will dominate a mature battery industry in a decade or so. 1. LG Chem of South Korea generates annual battery sales of $8.5 billion for consumer electronics and other markets. A wholly owned subsidiary, Compact Power Inc., produces batteries for the Chevrolet Volt and Ford Focus EV. 2. Johnson Controls Inc. of Milwaukee ranks second because of its prominence in the market for lead-acid batteries. The company supplies lithium ion batteries to Mercedes, BMW, Ford and others, but has not aggressively sought market share. 3. GS Yuasa Corp. of Japan has formed joint ventures with Honda Motor Co. and Mitsubishi Motors Corp. Although the company has had limited success outside Japan, it has deep pockets and technical resources. 4. Automotive Energy Supply Corp. of Japan is a joint venture of Nissan Motor Co.and electronics giant NEC Corp. The partnership produces EV batteries for Nissan and Renault SA, and has not won significant business outside those companies. 5. A123 Systems of Waltham, Mass., has secured contracts to supply batteries for the Chevrolet Spark EV, Fisker Karma and other EVs. But the company’s small size leaves it financially vulnerable when customers cancel or delay contracts. 6. Panasonic Group, a major battery maker for consumer electronics, supplies batteries for the Toyota Prius. In February, it signed a contract to supply lithium ion batteries for four Ford hybrids. 7. SB LiMotive, a joint venture of Robert Bosch GmbH and Samsung SDI Co., has r&d resources plus deep pockets. But the partnership is a relative latecomer to the EV market, and it has yet to develop a significant market share." VANCOUVER, British Columbia, March 16, 2012 /PRNewswire via COMTEX/ -- International Lithium Corp. ("ILC" or the "Company") CA:ILC +10.00% is pleased to announce the appointment of Kirill Klip, MBA, as President effective immediately. Kirill Klip graduated with the degree in Management from St. Petersburg State University of Railways, later obtaining a degree in Economics from the International Business School in Moscow and a degree in MBA in Finance from both the International Business School in Moscow and Guildhall University in London. He has extensive expertise in banking, transportation, mining, telecommunications and internet industries. Kirill Klip served as the First Vice President and Member of the Board of TransCreditBank (Moscow), Member of the Board of TransTeleCom (Moscow) and Member of the Board of Dry Bulk Terminal (Tallinn). He also acted as the Adviser on Finance for the Minister of Russian Railway System (Moscow). From 2008, Kirill Klip has acted as Non-Executive Chairman and member of the Board of TNR Gold Corp. (International Lithium's parent company through a Plan of Arrangement and spin-out) and an Adviser to the Board of Canada Zinc Metals. In addition to years of entrepreneurial and corporate stewardship, he also manages a portfolio of global assets and brings a robust financial network to the group. Mr. Klip is the largest individual shareholder in International Lithium with approximately 11% of the outstanding shares and holds a 20% equity stake in TNR Gold Corp. Mr. Klip is a UK citizen and resides in London. Mike Sieb has resigned as President in order to provide Mr. Klip the opportunity to lead the Company through its next stage of development. Mr. Sieb will remain as an active member of and continue to provide technical expertise to the Board of Directors of International Lithium. "I would like to thank Mike Sieb for the initial launch of International Lithium as a public company with all our TNR Gold team. Mike has delivered impressive technical successes as demonstrated from recent exploration results on numerous ILC projects and structuring the strategic partnership with China based Ganfeng Lithium Co., Ltd. to provide the Company with current and future technical and financial support," states Kirill Klip. Mr. Klip's prime objectives will be to advance the market development and value realization of the Company with the continued aggressive exploration of the Company's projects through the resource delineation stage and support of strategic partnerships. His efforts will be aided by focusing on ILC's shareholder base and capitalising on industry connections, particularly in Asia. Mr. Klip is a strong believer in the advancement of green technology and the special place that lithium holds in the advent of the electrification of everyday transportation. "We have an exciting opportunity to build the Company along the ideal that our society as a whole is making the transition to a post carbon-based economy. Electrification of transportation and energy storage systems for solar and wind power generation depend on lithium based battery technology, which is rapidly developing. International Lithium has been formed with all the components; an attractive global portfolio of lithium and rare metals projects, strong technical team and strategic partners; to address the demands of the future. Our goal is to position the Company in the potential supply chain of strategic commodities for the coming green technological revolution," states Kirill Klip. International Lithium Corp. is a rare metals mineral exploration company with an outstanding portfolio of projects, strong management ownership, robust financial support and a strategic partner and keystone investor Jiangxi Ganfeng Lithium Co. Ltd., a leading China based lithium product manufacturer. ILC currently has 9 active rare metals projects, well balanced between lithium-potash brines in Argentina, Nevada and hard-rock pegmatites in Canada and Ireland. The Company's primary focus is the Mariana lithium-potash brine project, a salar or "salt lake," covering an expansive 160 square kilometres and strategically encompassing the entire basin. Mariana is located in the renowned South American "Lithium Belt" centred on the junction of Argentina, Bolivia and Chile that is host to the vast majority of global lithium resources, reserves and production. The Mariana lithium-potash brine project ranks as one of the more prospective salars in the region. Complementing the Company's lithium brine projects are the rare metals pegmatite properties. The key characteristics shared by the hard-rock rare metals projects are their limited past exploration, excellent accessibility and limited assaying for rare metals. All of which imply a clear potential for additional exploration and development as well as added project value to meet the global technological growth in demand for the rare metals suite of elements. Gary SchellenbergCEO - International Lithium Corp. Here comes another confirmation of the trend and catalyst for the "iPhone moment"for electric cars we have been discussing before. "Once technology improves, we will have the Switch - when consumers will be switching to the electric cars and create mass market. Demand is already there - we need just to have electric cars which will be better than ICE ones. "iPhone moment"for electric cars will come with the better range and low cost as promised by recent announcements about advance of Lithium Battery Technology and new marketing approach, when Lithium Battery is leased rather that sold with electric car. 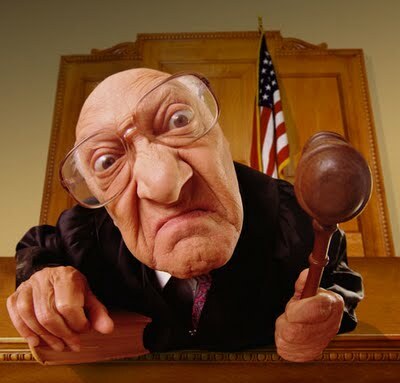 You will pay monthly fees for the lithium battery lease and all the trouble with warranty will be gone - you can exchange or upgrade your battery. In case of Renault ZE payments are promised to be in line with ICE cars: cars are priced as their "normal" ICE comparable models and your electricity and lease payments per month will be the same as for the Gas at this level, but with rising Gas prices you will get some additional gain." 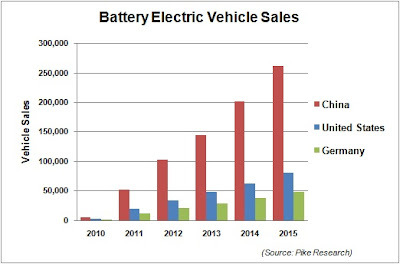 Pike Research: Electric Vehicle Batteries. The cost for lithium-ion batteries used in electric-drive vehicles will fall by about a third between now and 2017 as battery-production technology improves, lithium supply increases and battery packs are sold in higher volumes, green-technology research firm Pike Research said in a report released this week. 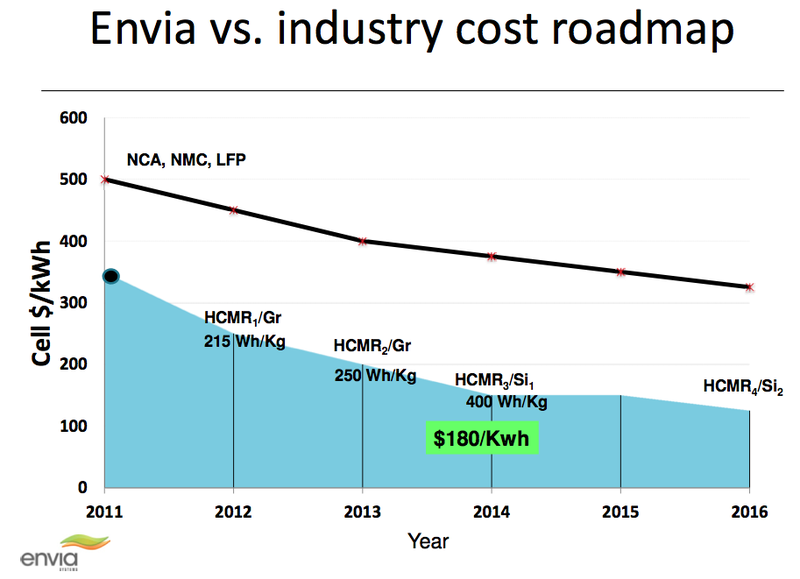 Lithium-ion battery packs for electric vehicles will fall to an "installed price" of about $523 per kilowatt hour, Pike predicts. Meanwhile, the firm estimates that global revenue from lithium-ion batteries specifically used for transportation will jump to $14.6 billion in 2017, up from $2 billion last year. "The market for Li-ion batteries will be driven primarily by plug-in hybrid electric vehicles and battery electric vehicles, which require much larger battery packs than hybrids," said John Gartner, research director at Pike Research, in a statement. Lithium-ion batteries present a classic chicken-or-egg issue with electric-vehicle adoption because battery costs need to decrease in order to yield the lower sticker prices that will entice more shoppers to consider buying EVs and hybrids. Conversely, battery packs need to be produced in high volumes in order to get costs to fall. Even so, demand for electric-drive vehicles is expected to rise over the next few years as fuel prices increase and automakers offer a wider choice of plug-ins. Pike Research optimistically predicted last year that cumulative global sales of plug-in vehicles will reach 5.2 million units in 2017, up from 114,000 vehicles in 2011. Estimates of battery costs have varied as automakers and tech analysts have looked into ways to make them less costly. The Nissan Leaf EV's battery pack has been reported to be as cheap as $375 per kilowatt hour, while Tesla Motors CEO Elon Musk said last month that battery costs may fall to less than $200 per kilowatt hour "in the not-too-distant future." Managing transportation emissions and reducing energy insecurity due to a volatile oil industry are on the top of the agenda of many countries across the world. Electric vehicles (EVs) have a significant role to play in both of those areas, and while EVs will continue to be a niche market through the remainder of this decade, the global automotive industry is beginning to move away from the internal combustion engine and toward electric drivetrains. For auto manufacturers, the key to this shift will be the continual advancement in the capabilities of the vehicles' batteries, which will be led by lithium ion (Li-ion) chemistries. The convergence of the automotive industry toward battery power and the engineering of safe, reliable, and economical Li-ion batteries will slowly reshape the automotive industry as it moves toward electrification. 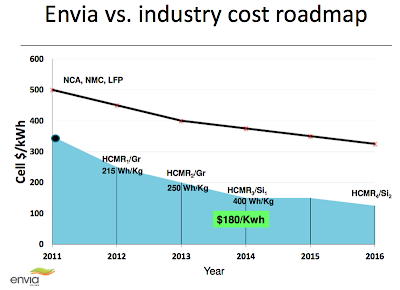 According to a recent report from Pike Research, as manufacturing efficiencies improve and access to lithium expands, the installed cost of Li-ion batteries will fall by more than one-third by the end of 2017. In terms of revenue, the market for Li-ion batteries for transportation will grow from $2.0 billion annually in 2011 to more than $14.6 billion by 2017, the cleantech market intelligence firm forecasts. "The market for Li-ion batteries will be driven primarily by plug-in hybrid electric vehicles (PHEVs) and battery electric vehicles (BEVs), which require much larger battery packs than hybrids," says research director John Gartner. "Battery chemistries that prioritize energy capacity over power density can satisfy both the PHEV and EV battery segments, enabling vendors to offer products to multiple vendors for multiple models. Reducing the installed price of EV batteries to $523 per kilowatt hour in 2017 will be a critical step towards making PEVs cost-competitive with petroleum-powered vehicles." Although most plug-in electric vehicles today have a range of between 40 and 100 miles, continued concerns over range and the availability of charging infrastructure remain among the biggest impediments to the wider adoption of Li-ion batteries. On the supply side, challenges such as achieving higher energy density, better safety, and greater discharge/charge rates linger despite advances in battery technology. Although a number of Li-ion chemistries are available today, none of them can claim to be the ideal solution. Manufacturers must make tradeoffs in choosing a particular type of Li-ion battery over others. Pike Research's report, "Electric Vehicle Batteries", outlines the critical role that governments around the globe will play in establishing the electric vehicle market, and the challenges that manufacturers face in creating an industry that will be able to stand on its own as government influence diminishes. The study examines the key market drivers for the electrification of vehicles, the status of R&D in batteries, the impact of declining battery production costs on vehicle sales, and the resale of batteries after their useful life in vehicles. 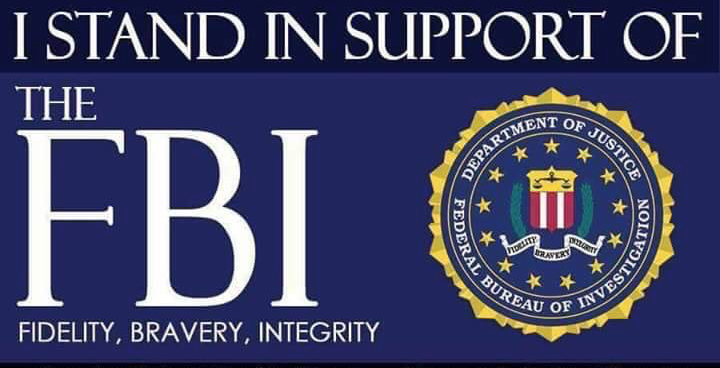 An Executive Summary of the report is available for free download on the firm's website." Seth Fletcher brings a very important point across - Electric Cars at this stage are all about the choice. Finally, you can have some choice at least with your own mobility. You can plug in and use Domestically produced relatively cheap electricity and support Solar, Wind and other forms of Green Energy at your choice of supplier. And now you know what happens If You Can't Plug Your Car In. More and more people are getting it and the recent hatred campaign against electric cars only confirms the trend. Gas prices are talking for themselves now. Saudi Oil is lost in translation if US and UK are pushed to open Strategic Reserves again and sell cheaper Oil to the happy Chinese buyers. Once technology improves, we will have the Switch - when consumers will be switching to the electric cars and create mass market. Demand is already there - we need just to have electric cars which will be better than ICE ones. "iPhone moment"for electric cars will come with the better range and low cost as promised by recent announcements about advance of Lithium Battery Technology and new marketing approach, when Lithium Battery is leased rather that sold with electric car. You will pay monthly fees for the lithium battery lease and all the trouble with warranty will be gone - you can exchange or upgrade your battery. In case of Renault ZE payments are promised to be in line with ICE cars: cars are priced as their "normal" ICE comparable models and your electricity and lease payments per month will be the same as for the Gas at this level, but with rising Gas prices you will get some additional gain. Early this year, when it became clear that the Chevrolet Volt and Nissan Leaf had missed their 2011 sales targets, critics declared the electric-car revolution over. Yet at Detroit’s annual North American International Auto Show in January, plug-in cars abounded. BMW displayed its forthcoming i3 electric city car, along with its i8 plug-in hybrid sports car. Acura unwrapped a hybrid concept version of the NSX supercar. Tesla Motors brought its all-electric Model S sedan. But the most important car on the show floor might have been one that, on the surface, seemed much less exciting: the new Ford Fusion, which will be available in gasoline, hybrid and plug-in hybrid versions. Carmakers long refused to build plug-in cars because they said they had no idea how many people would buy them. Then, rising oil prices and environmental concerns led governments to enact stricter emissions standards and push carmakers to build cars that could meet those standards. In the U.S., the federal government lent several carmakers (not just GM and Chrysler) money to develop electric vehicles and retool factories. Ford used part of its $5.9-billion loan to develop a system for building gas cars, hybrids, plug-ins and electric cars all on the same line. In a renovated Detroit-area factory, it will build gas and electric versions of the Focus compact car, along with hybrid and plug-in hybrid C-Max minivans. The company will use the same strategy for the Fusion. Compared with the ambitious e-car launches of recent years—particularly those of the Chevy Volt and the Nissan Leaf—Ford’s approach might appear noncommittal. But it could turn out to be transformative. It’s evidence that once the investments have been made, manufacturing electric cars isn’t all that hard. It’s a matter of adding a few assembly-line stations where plug-in cars get their batteries, electric motors and electronic controls. And when Ford and other automakers use the same lithium-ion batteries across a range of electrified vehicles, it will help reduce the cost of those batteries, pushing electric-vehicle sticker prices down and ultimately in line with conventional gas cars. Drivers won’t just benefit from lower prices; they will finally get some choice. Picking a power train could eventually become as simple as opting for the premium sound-system package. And making that choice won’t have to be a lifestyle statement. Outwardly, the plug-in hybrid version of the Ford Fusion will be almost indistinguishable from the hybrid or conventional versions, with the exception of a charge-port door and a little badge that says “Energi.” Habituating Americans to the concept of plugging in should make it more likely that all manner of electrified cars receive a warm reception. The debut of the Volt and the Leaf was just one phase of a long process. First came the high-profile launches and the saturation media coverage. Now it’s time for plug-in cars to slowly become normal, even boring—or, to put it another way, accepted."